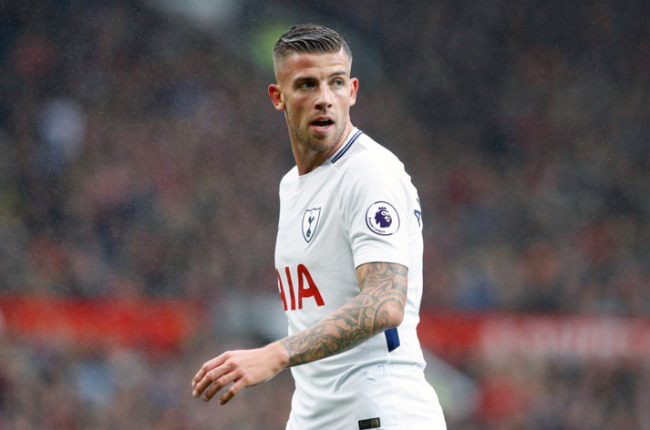 Arsenal are reportedly set to make a shock attempt to land Toby Alderweireld from bitter rivals Tottenham Hotspur. A host of Premier League clubs sides are eyeing a swoop for the Belgian defender and Gunners are claimed to be one of them keen. The 30-year-old star is available for just £25m due to a clause in his current contract and teams are planning to exploit the current situation. However, Spurs have received no official approaches as of yet for Toby, whose exit clause can be met up to July 26, 2 weeks before the summer transfer window deadline. According to a British tabloid newspaper The Sun, the club have identified the centre-back as a potential target with manager Unai Emery keen to strengthen his defensive ranks. The Gunners have several other variants to consider but the former Atletico Madrid player is currently the most cost effective. Tottenham Hotspur may even opt to offer the centre-half fresh terms to ensure that he can not leave on the cheap. Ole Gunnar Solskjaer’s Manchester United have also been connected with a move for the powerful central defender, while he is also on another EPL heavyweights Chelsea’s radar. Toby could also be a possible target for Manchester City with Spanish manager Pep Guardiola on the observation post for a replacement for the injury-hit Vincent Kompany, who turned 33 the previous week. This season, across all competitions (Premier League, Champions League, EFL Cup, FA Cup), the 30-year-old Toby has made 41 appearances for the north London outfit, thus far.